A total of 20 schools—14 district schools and six charter schools—that fall under the LA Unified umbrella are among the bottom 5 percent of low-performing schools in the state of California. The schools are eligible for School Improvement Grants (SIG) money that can result in $2 million a year for five years if the school administrators decide to implement one of seven school models that will help improve their scores. The issue was brought up at the first LA Unified School Board meeting of the school year on Tuesday. Board members also discussed whether they need to intervene with the five traditional schools that are run by Partnership for Los Angeles Schools (and are not charter schools), as well as the six other charter schools that they oversee in the district. The surprise is that a few of them named on the list are notable and previously celebrated schools as far as past achievements, yet some of them have been identified as low performing since 2010. The list from the California Department of Education only slightly differs with the low-achieving list from the CORE district ratings which also included Century Park and Hillcrest Drive elementary schools and David Starr Jordan and Dr. Maya Angelou Community high schools. The list of 291 schools throughout the state of low-performing schools identify 20 in LA Unified, one in Los Angeles County Office of Education (Soledad Enrichment Charter High) and one in Long Beach (Jordan High). In Los Angeles County, there are 12 other school districts with schools named in the lowest 5 percent of state schools. The state’s lowest 5 percent of schools was based on 2015 math and English assessment scores, graduation rates based on four years of data, the English learner indicator of the past two years, suspension rates over two years and college and career indicators. Among the charter schools, the 3-year-old North Valley Military Institute is the only one of its kind in LA Unified and is championed by Gov. Jerry Brown. Wallis Annenberg High’s Accelerated School’s elementary school was named by TIME magazine as the “Elementary School of the Year” for its impressive approach to education, and has boasted years of 90-plus percent graduation rates. Lou Dantzler Preparatory Charter Middle is getting a new building, and ICEF CEO Parker Hudnut said they have hired new experts in math that are joining the staff. 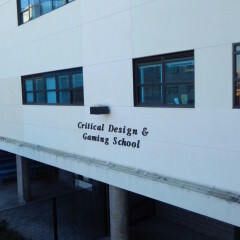 Among the traditional schools, the Augustus High School Critical Design and Gaming School has been noted for its innovation in computer science, while the successes at George Washington Preparatory High were chronicled in a movie starring Denzel Washington who played then-Principal George McKenna, who is now a school board member. McKenna and other board members approved allowing the 14 traditional schools to apply for the SIG money, but they expressed concerns about how to help the charter schools that they were not voting on Tuesday with SIG applications. Those charter schools must apply on their own, and McKenna also wondered about the five Partnership schools that the district co-runs as part of the nonprofit started in 2008 by former Los Angeles Mayor Antonio Villaraigosa. Of the 18 Partnership schools they now run in LAUSD, five of them are on the district’s list of 14. Four of those five have been on the list since 2010, and have received extra money to help improve their test scores. Partnership’s CEO Joan Sullivan was unavailable to comment. According to a national report when the schools were helped first in 2010, generally 69 percent of the schools helped for three years saw an increase in math, but 30 percent saw declines and 2 percent had no change. School board President Steve Zimmer said he wanted to know for sure where money was spent to pinpoint interventions to see how they worked. He said he supported the Partnership schools and wanted to help. George Bartleson, chief of School Choice at LA Unified, said the district has helped with partnered schools in the past, and there was a time when someone from the central office was assigned to schools to help. 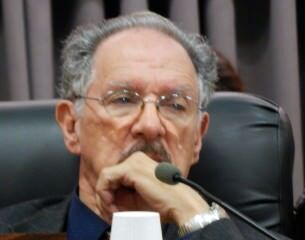 David Tokofsky, a former LA Unified school board member who works for the principals union, pointed out that the school board and superintendent should have more scrutiny of the charter schools that will be getting the extra $2 million a year, especially if they continue to remain on the state’s improvement list. LA Unified originally had 31 persistently low-achieving schools on the list. Eight schools are still receiving money from past SIG funding, according to a report by Frances Gipson, the chief academic officer. The district has to submit their applications for the schools to the state by Sept. 8.